St Average is a multi purpose indicator that monitor all pair available within your mt4 terminal. 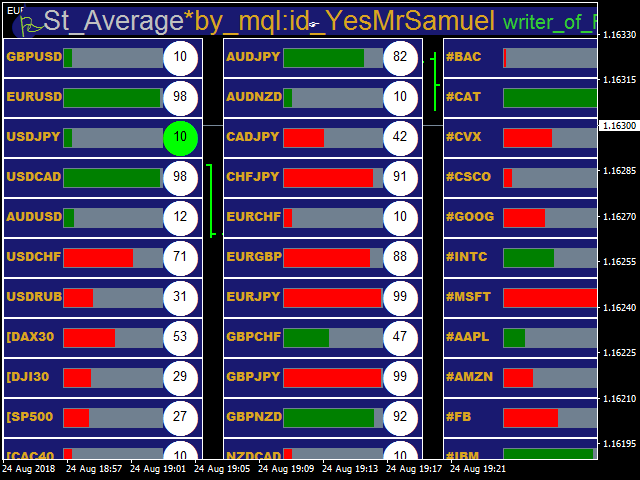 St Average is a programmed dashboard that provide detail information about each pair within your broker. 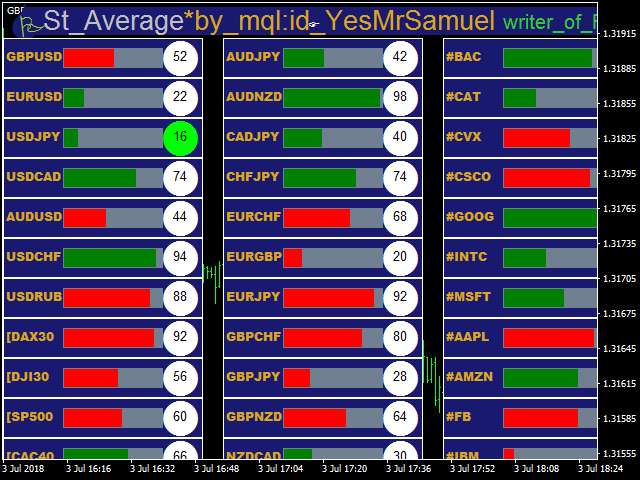 St Average can be used for day scalping and trend following. 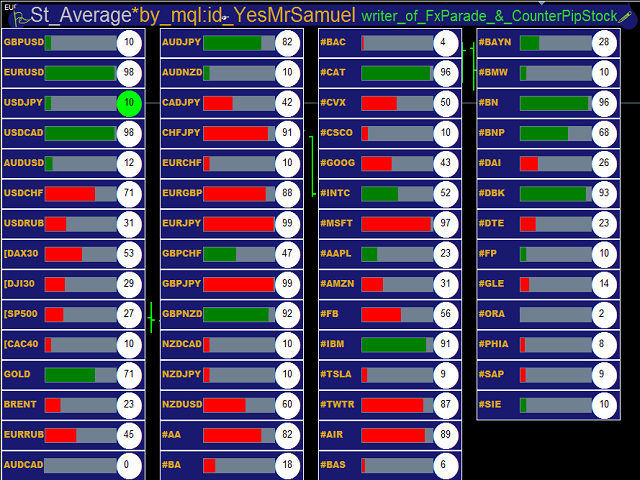 St Average also analyses for you, the daily gainers and losers known as daily winners and losers all in one Board. Fibo_A: To modify rate of change of direction. Fibo_B: To modify rate of change of direction. Fibo_C: To modify rate of change of direction. Fibo_D: To modify rate of change of direction. Fibo_E: To modify rate of change of direction. NoticeColour: To change background color. ShowBarColorWithSignal: To modify progress bar formation color. NoticeText: To change symbol color. DailyGain: To change Daily Gainer color and Buy Signal Color. DailyLoss: To change Daily Loser color and Sell Signal Color. SpreadText: To change spread color. 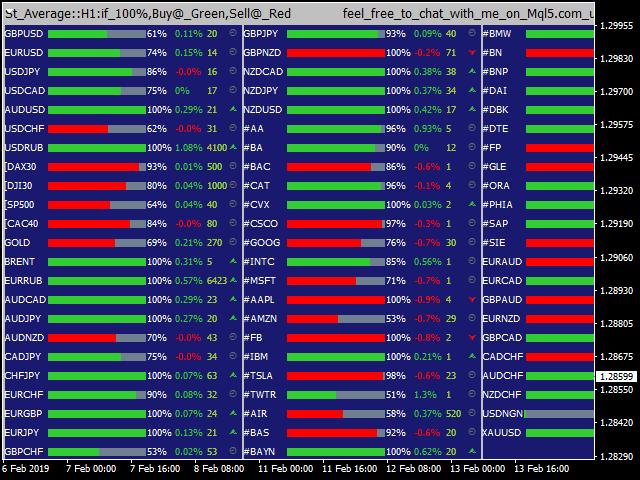 WindowSpan: set true to fill board with on terminal chart window. PlaceBoardWithMouseClick: set true to use computer mouse to adjust board when WindowSpan: =false.